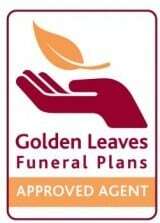 Golden Leaves have recently appointed Funeral Plans-Spain as an Approved Agent on the Costa del Sol in order to better serve UK citizens living abroad. Funeral Plans-Spain provide professional and free consultancy advice as to what Funeral Plan options are available and also as to what should be considered when choosing a Funeral Plan Provider. 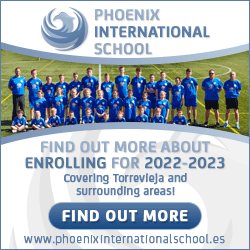 Why Think About Arranging a pre-paid Funeral Plan in Spain? Save Money – the price of a pre-paid Funeral Plan is fixed at today’s prices. The cost of funerals has historically risen in excess of normal levels of inflation and this is a trend which is predicted to continue. Buying a Funeral Plan today could result in a significant cost saving at the time of need. Peace of Mind – at the time of need, everything is arranged with just one call in English. Family and/or friends are spared the emotional burden of organising everything, when they least feel able to cope. No language problems. Just everything arranged to plan. How Do You Choose the Best Funeral Plan? Not every Funeral Plan or Funeral Plan Provider is the same. Price, though important, may not be the best reason for selecting a Funeral Plan or a Funeral Plan Provider. As the saying goes, “apples should be compared with apples”. What is most important is to select a Funeral Plan Provider who places all funds in a Trust – so that your money is safe. The Trust should also be managed by an Independent Board of Trustees. These Trustees are then obliged to ensure that the Trust will cover the cost of each and every pre-paid funeral, whenever it may occur. Funeral Planning became regulated by the UK Financial Services Authority in 2002 and you should expect your Funeral Plan Provider to be registered with the Funeral Planning Authority. The Funeral Planning Authority regulates Funeral Plan Providers and monitors their marketing, financial and service provisions. Who Should You Turn To For Advice? Funeral Plans-Spain are now offering Free Consultations on the Costa del Sol and providing expert advice on selecting the most suitable Funeral Plan and Funeral Plan Provider. In this way, UK Expatriates can now have access to sufficient information to make an informed decision as to who and what can offer them the best possible Funeral Plan solution in Spain.